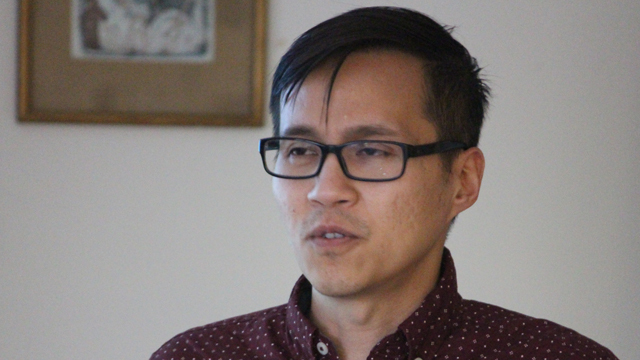 An assistant professor of international studies at University of California, Irvine, Bui spoke about his book, “Returns of War: South Vietnam and the Price of Refugee Memory” (NYU Press, 2018), at a recent event sponsored by the Center of Southeast Asian Studies. Specifically, the scholar narrated his experience, as a son of South Vietnamese refugees, doing research on these refugees in archives around the United States. The roughly 20-year Vietnam War began in 1955 and ended in 1975, with North Vietnam supported by communist China and Russia and South Vietnam aided by anti-communist powers France and the United States, which eventually intervened with almost 200,000 troops on the ground. The United States retreated two years before the end of the war, after initiating a “Vietnamization” policy that aimed to train South Vietnamese troops and end U.S. involvement. The war ended with the 1975 victory of North Vietnam, thousands of casualties on both sides and the merger of the North and South into one country, sparking a massive outflow of refugees. “Returns of War” recounts the memories and stories of South Vietnamese refugees of their homeland, a country that no longer exists. Bui explained that many Vietnamese refugees, including his parents, do not like to recount the painful memories inflicted by the war. In seeking to understand their lives in the U.S., the speaker found refugee applications to be particularly valuable. 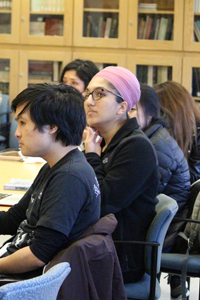 These applications are often dismissed by others, explained the scholar, but the information contained in them allowed Bui to piece together historical dynamics within the Vietnamese refugee community. “I found boxes of refugee applications,” he said. “People had stories that you could read as a cultural texts. They tell you a narrative — a type of microhistory in a small paragraph,” he said. While many people believe archives only preserve historical documents, Bui argued that in reality, they serve as political institutions that can reinforce racist discourses. He described how racism ran through both the historical content of the archives he examined and his interactions with archivists. For example, he recounted that he could not find documents on Vietnamese history when searching for the word “Vietnamese.” Instead, he was told to look up the term “gook,” a racist slur used by Americans to dehumanize Vietnamese people. “I put in the word ‘gook’ and it gave me everything,” he remarked. “‘Gook’ was used during the Korean War and Vietnam War. It [is] an insult term for non-whites, especially for an Asian person,” he added. Archivists, observed Bui, believe archives should be impartial even if it means including the narratives of individuals or groups that played the role of oppressors in history. In his view, this has led U.S. libraries to invite communist generals, U.S. military leaders and Vietnamese refugees all to participate in the archiving of historical documents, a process that he claimed continues to contribute to undermine the struggles of Vietnamese refugees. As a result, these archives tend to minimize the effect of U.S. involvement in Vietnam and transfer blame for the war and its atrocities to the South Vietnamese. This pattern is frequently observed, he said, in places that lack Vietnamese communities. Libraries often invite former and current communist officials and war refugees to events and symposiums about the Vietnam War, Bui elaborated. This practice, he argued, undermines the importance of the war atrocities suffered by Vietnamese refugees and equalizes the importance of refugee stories and those of their oppressors. In particular, he said that involving U.S. military officials in archival work dehumanizes Vietnamese communities and has caused many Vietnamese refugees in the country to cease visiting archives. 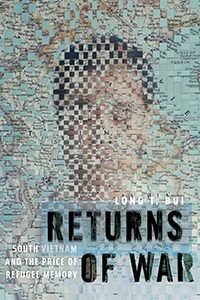 Bui hoped that “Returns of War” will bring light to the power dynamics that undermine the stories of Vietnamese refugees and other marginalized communities. One of the clear achievements of the work is its creative use of refugee applications and archive dynamics to reconstruct refugee histories.